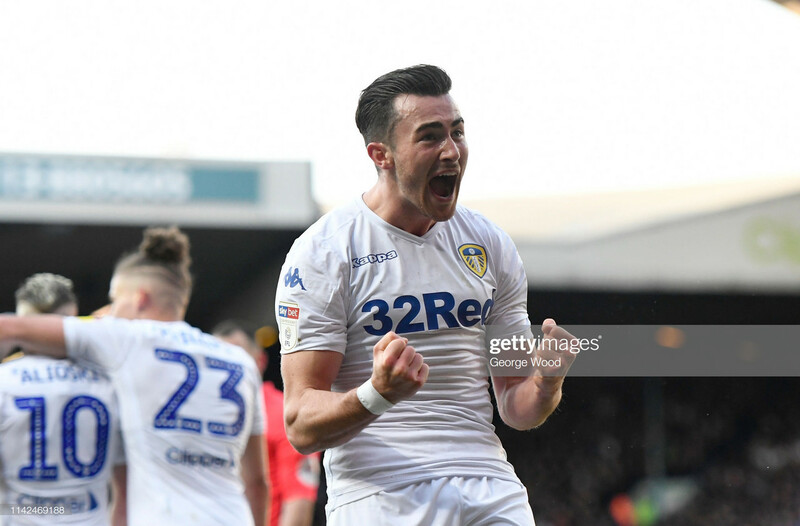 Steve Bruce's Owls were unable to do their city rivals a favour as Jack Harrison's goal gave Leeds a huge three points. Leeds United took a giant leap towards promotion, moving three points clear of third place, after they beat Sheffield Wednesday 1-0. Shortly before kick-off, Leeds' promotion rivals Sheffield United had drawn courtesy of a last-minute Millwall equaliser, giving Leeds an opportunity to open up a gap as the Blades' city rivals Wednesday were unable to do them a favour. It was a nervy late kick-off at Elland Road, as a goal from Jack Harrison midway through the second half was the difference between the two teams on the day. Marcelo Bielsa had looked to name an unchanged team yet again but was forced into a late change. Gaetano Berardi came in for Liam Cooper after the club captain pulled up with an injury in the warm-up. The Argentine, as he tends to do against old school front twos, had Kalvin Phillips drop deeper, sitting in between Berardi and Pontus Jansson to counter the physical dual threat of Gary Hooper and Steven Fletcher. The system worked well as Leeds took charge of the game, spending the first 45 minutes in the opposition half and creating enough opportunities for a comfortable lead. It was only the performance of Keiren Westwood, who made a couple of outstanding saves to deny Tyler Roberts, that kept the score goalless at the break. However, the Owls posed a threat on the counter, and it was only an outstandingly-timed last-ditch tackle from Luke Ayling that denied Hooper, who was clean through early on. Leeds keeper Kiko Casilla was also forced to make a good one-handed save to deny a curling long-range effort from Barry Bannan. The second half started with much of the same, with Patrick Bamford missing Leeds' best chance, totally miscuing a cut-back inside the six-yard box. Immediately, he was replaced by Kemar Roofe just after the hour mark. It had looked like it was going to be one of those days where Leeds would somehow conspire to miss a glut of chances, as has often been their undoing this season, as Elland Road felt like it could swallow itself into a bag of nerves. The stadium became its most raucous as looked to defy the creeping doubts. Soon after, in the 65th minute, it exploded. Harrison finally put Leeds ahead with their 22nd shot of the afternoon, sending it in across goal after Pablo Hernandez had crossed the ball into his path. It was the Spaniard's twelfth assist of the season, matching his goal tally and further laying claim to the club's player of the season award, if not the league's. The spectators still had to sweat the remainder out, but the absence of Adam Reach, who had been substituted through injury in the first half, will have come as some comfort after his spectacular highlights reel of goals this season - including a special goal in the reverse fixture. In the end, despite a couple of dicey moments, Leeds saw the lead out ably as Steve Bruce's men looked short of ideas - Casilla was never seriously called into action as they prodded for an equaliser. Bruce conceded after the game that the better team had won. But while this was far from Wednesday's best performance, but there were still positives to take. There's a shape and cohesion to the team that had been lacking before Bruce's appointment, and that - along with the form of Westwood - frustrated the promotion-chasers. The loss today means the playoffs looks a tall order now, but that it was even on the cards is a testament to the job the new manager has done. They should be in contention next year. Losing the captain at such an important stage could have been a disaster for Leeds, but Berardi stepped in capably. With big summer signing Bamford misfiring on the day, Leeds were also able to bring in this season's top scorer, Kemar Roofe, on from the bench. Adam Forshaw came on to put in a mature, level-headed performance in midfield when the situation called for one. Bielsa has not tended to deviate from his chosen XI, but he'll take comfort in having options if and when he needs them.